Topping the list of Digimarc’s “priorities” for the back half of 2018 is working to expand deployment of Digimarc Barcode across more customers, according to Charles Beck, the company’s CFO. “We’ve got a lot of work to do in the second half of the year,” he said Sept. 6 at the Liolios Gateway Conference in San Francisco. “We’re really intently focused on getting [current] accounts closed and moving them to greater scale” across their companies, he said. While introducing Thermal Labels early this year, Digimarc pointed out that they scan even when ripped, creased, smudged or damaged, making retail checkout faster and easier for both customers and cashiers. Thermal Labels additionally encode GS1 Application Identifiers (AIs) for fresh foods, allowing retailers to dynamically adjust pricing on soon-to-be-expired fresh foods or sell items at a discount, instead of discarding them as shrink. The company will continue to focus on the U.S., where most of its investment remains, but it also has small teams in Germany and Japan and continues to see opportunities in those markets, he also said. Digimarc has a “sustainable competitive advantage with a 20-year operating history in high security” and has “proven proprietary algorithms and … 1,100 patents behind us,” he also said. Digimarc is “working hard in the industry to kind of prove ourselves and making good progress,” he told attendees. Its strategy remains targeting “top-tier accounts” and Digimarc is “working with two of the top 10 global retailers in the world right now and negotiating with a third,” he said. On the consumer packaged goods (CPG) front, meanwhile, it’s working with a top 10 company and negotiating with another top 10 CPG company, he said. 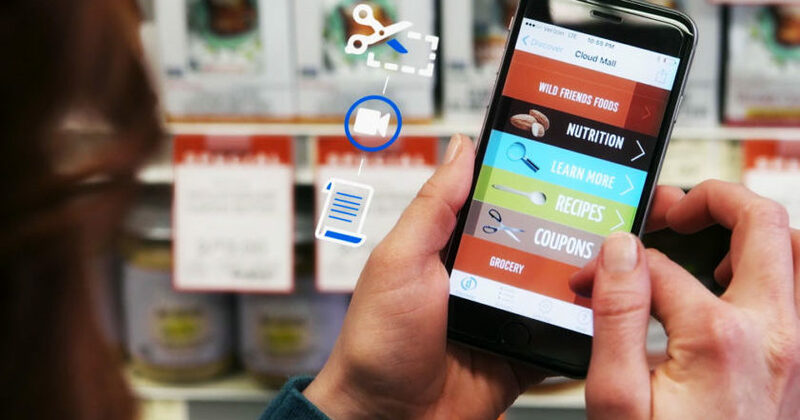 Asked how long it will take to deploy its technology across, as an example, all the stores of U.S. supermarket chain Wegmans, he said it depended on how fast the retailer wanted to go and it can be deployed throughout all their stores quickly. Wegmans is “going to go at whatever pace they want,” he said. He didn’t get into details on Amazon’s initiative. But, in Digimarc’s recent earnings call for its second quarter (ended June 30), CEO Bruce Davis noted that the new Amazon Go grocery stores are using artificial intelligence and smart shelf technologies to do away with the need for traditional store checkouts altogether. Digimarc Barcode technology includes the same information as a traditional UPC code, but “we can also include proprietary data” including more digits and “serialization” for “track and trace and anticounterfeiting-type solutions,” Beck noted Sept. 6. But Digimarc Barcode is “very economical” for customers, he said, noting “we charge a small” fee of $50 per year, per UPC code. The charge for Thermal Label is done on a fixed fee per month per store, he said, adding Digimarc also offers an option to pay an annual enterprise license-fixed price per year for access to the entire Digimarc network. Digimarc is also licensing its technology, he said, calling that a “high margin” business for the company that reduces the capital it needs. The company is “working with really all the key players in Thermal Labels as well as scanning,” he also said. Meanwhile, “on the mobile discovery side, we’re integrated [into the] Walmart and Shazam apps,” he pointed out.